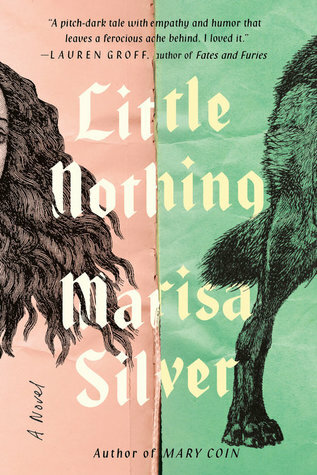 A stunning, provocative new novel from New York Timesbestselling author Marisa Silver, Little Nothing is the story of a girl, scorned for her physical deformity, whose passion and salvation lie in her otherworldly ability to transform herself and the world around her. In an unnamed country at the beginning of the last century, a child called Pavla is born to peasant parents. Her arrival, fervently anticipated and conceived in part by gypsy tonics and archaic prescriptions, stuns her parents and brings outrage and scorn from her community. Pavla has been born a dwarf, beautiful in face, but as the years pass, she grows no farther than the edge of her crib. When her parents turn to the treatments of a local charlatan, his terrifying cure opens the floodgates of persecution for Pavla. Little Nothing unfolds across a lifetime of unimaginable, magical transformation in and out of human form, as an outcast girl becomes a hunted woman whose ultimate survival depends on the most startling transfiguration of them all. Woven throughout is the journey of Danilo, the young man entranced by Pavla, obsessed only with protecting her. Part allegory about the shifting nature of being, part subversive fairy tale of love in all its uncanny guises, Little Nothing spans the beginning of a new century, the disintegration of ancient superstitions, and the adoption of industry and invention. With a cast of remarkable characters, a wholly original story, and extraordinary, page-turning prose, Marisa Silver delivers a novel of sheer electricity. Marisa Silver has written a number of genres in her book”Little Nothing”. This novel seems to have symbolic meanings for things on a deeper level. Perhaps it is the difference between good and evil. Perhaps it is dealing with the old and the new, or superstitions, magic, and even the timing at the turn of the century were there is a difference between ancient and modern. The genres for this book could be Fiction, “Subversive Fairy Tale”, Thriller, and Folktale. Be warned this is a very dark, at times frightening, disgusting, horrific story. I certainly had trouble falling asleep after reading it. I found it to be disturbing, and I have to ask myself why I didn’t stop reading. The easiest explanation is that the author has a way of telling a story, and I really wanted a happy ending. The author describes her characters as complicated and complex. I find some of the characters despicable. I find some of the parts of this story despicable. Some of this story is very dark and twisted. Pavla is probably one of the innocent characters both to two elder people who had tried for years to have a baby. Desperate the mother turns to a witch or gypsy for strange tonics and strange prescriptions. Pavla is born with a physical deformity and it really takes a long time for her parents to accept her. Or do they? They turn to a charlatan claiming to be a doctor, and will do anything to fix this situation. Can Pavla be fixed? Do you want to know what happens? It seems that only one person really cares for Pavla, and that person is an outcast as well. There is some dark magic and superstitious beliefs that seem to surround the story. I found some parts of the story unexplainable, or confusing. The timeline and plot seemed to jump around. For those people that like a dark and twisted tale I recommend this for you. If you like to look for symbolism and deeper meanings, this would be for you as well. I received a copy of this book for my honest review? Was there a happily ever after? You’ll have to read this book to find out!